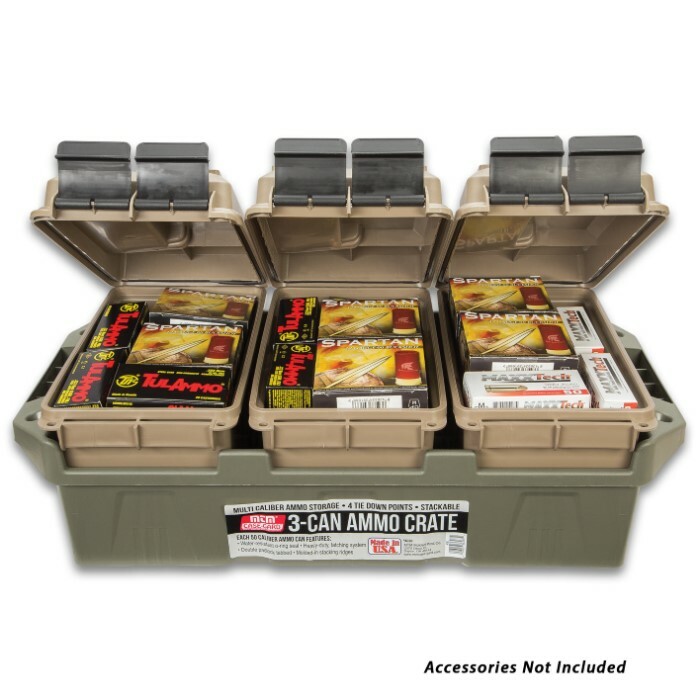 MTM Three-Can Ammo Crate For .50 Caliber Ammo Cans - Rugged Polymer And Polypropylene Construction, Stackable, Carry Handles | BUDK.com - Knives & Swords At The Lowest Prices! The crate’s dimensions are 13 1/2”x 25 4/10”x 8 9/10”; the cans outside dimensions are 13 1/2"x 7 4/10"x 8 1/2" and the inside dimensions are 11”x 5 4/5"x 7 1/5"
A rugged tactical carrying crate for multi-caliber ammo storage and transport, the MTM Three-Can Ammo Crate comes with three, O-ring sealed .50 caliber ammo cans for multi-caliber ammo storage. 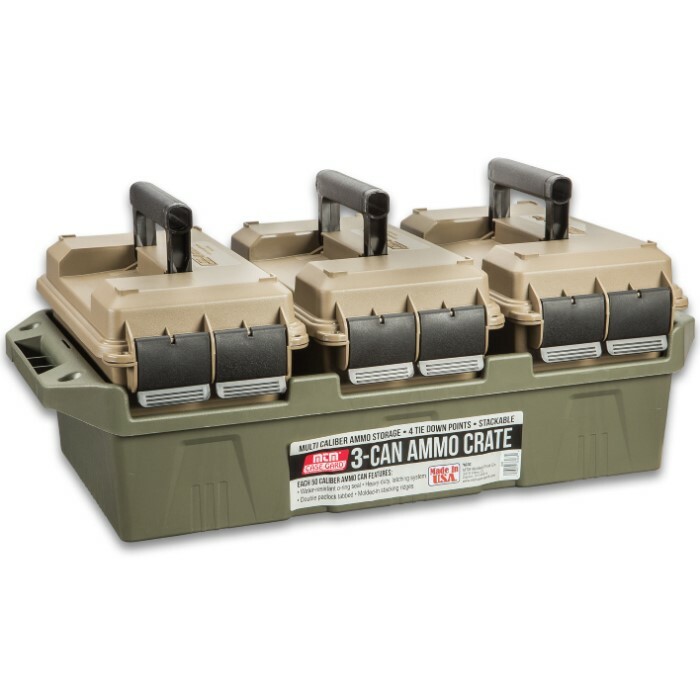 The .50 caliber ammo cans are a convenient size to store all types of boxed or bulk ammo. Each can nests within a rugged polymer crate to form a compact storage and transportation solution. As versatile as they are sturdy, the loaded crates are stackable, with carry handles and tie-down points on either end for ATV attachment. 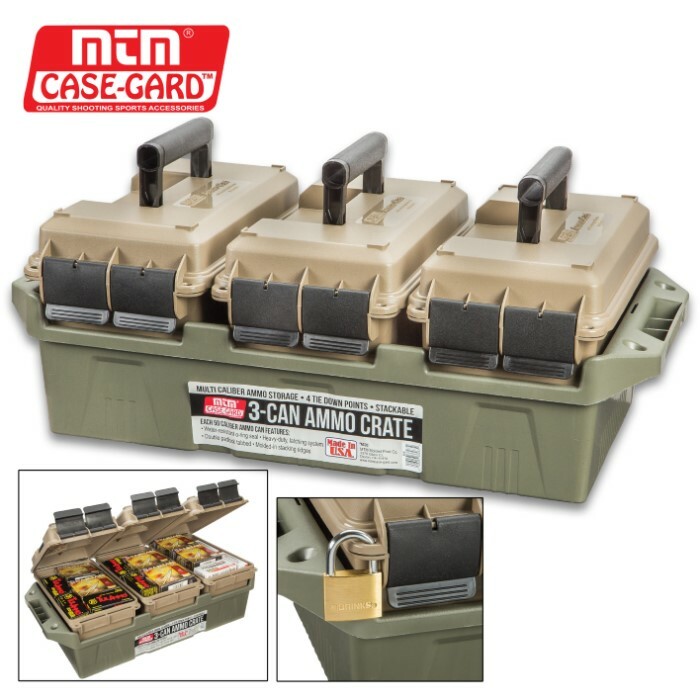 The military-style .50 caliber ammo cans offer dry storage for ammunition, emergency gear, medical supplies, batteries, food, tools, boating and valuables. 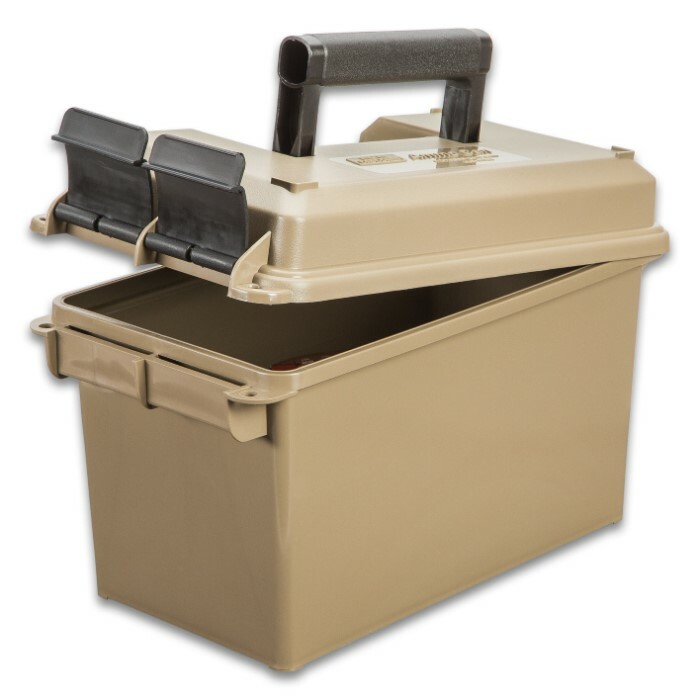 Each stackable, dark earth colored ammo can has a water-resistant O-ring seal for dry storage and is made of rugged polypropylene. 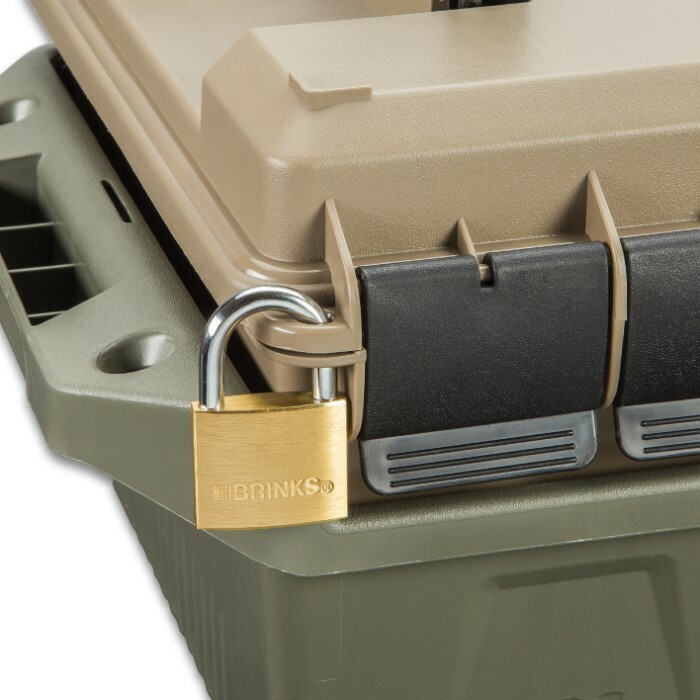 The cans feature a heavy-duty dual latching system, which makes for a better seal and less likely to open accidentally, plus, they have strong comfortable handles and are double padlock tabbed for security. Innovative in their approach to the shooting sports, MTM puts out innovative quality products that last!